Is There a Maximum Age for Senior Life Insurance Policies? There are numerous senior life insurance policies available. 1. What Does Senior Life Insurance Offer You? 2. What Is Graded Benefit Whole Life Insurance? Term life insurance policies remain in force until the term expires, and permanent policies cover the insured to death, regardless of age. However, the maximum age at which life insurance policies are issued depends on the issuing company. In general, very few companies will issue a policy past age 85, and some set their maximum age at issue to age 80 or 75. There are several different types of life insurance available to seniors who have not reached that maximum age, some of which remain in force until death. Because companies’ offerings vary by state, it’s wise to work with an independent insurance agent who works with a large number of companies and can find the best policy. Life insurance is intended to replace the income of a breadwinner or the income equivalent of a homemaker, as well as meet expenses such as mortgage payoffs and college tuition for children or grandchildren – expenses that otherwise would be met by the insured’s income. 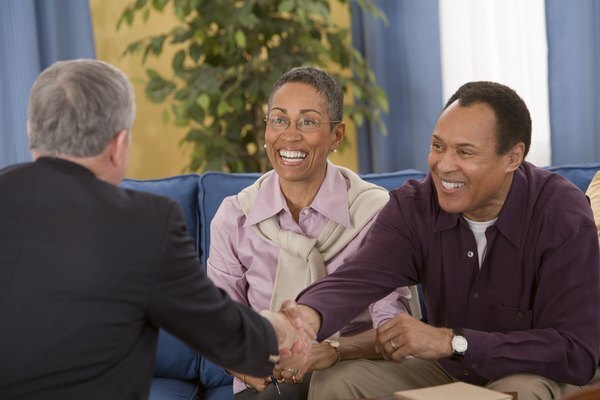 It’s not uncommon for financial planning professionals to recommend to their clients in their 30s and 40s that they should have life insurance in an amount five to 10 times their annual income. As people age, the importance of their income to the family declines, and other major expenses are met and paid. Nevertheless, most seniors need continuing life insurance policies, albeit smaller. Their families face burial and other end-of-life expenses, and their retirement plans sometimes don’t provide any survivor’s benefits. Of all life insurance options, term life insurance has the lowest premiums per thousand dollars of coverage. It is good for a specific period of time, generally five, 10 or 20 years from the date of purchase, Depending on the face value of the policy, you may be required to complete a comprehensive health questionnaire and have blood and urine samples drawn. Premium rates for term policies generally remain the same for the length off the term. Some policies guarantee that you can renew the policy once the term expires, while others require that you prove insurability upon renewal. For term policies, once you pass the company’s maximum age, you lose coverage. Permanent life insurance, sometimes called whole life or cash value insurance, covers policyholders for life, but is subject to the insurance company’s rules as to policyholders’ age at issuance. To determine your medical eligibility, you may be required to provide a great deal of medical information, as well as have urine and blood samples taken. These accounts develop a cash value over time, but it appreciates slowly. Universal life insurance and variable life insurance are different types of whole life insurance that have an investment feature attached. Frequently advertised on late-night TV, these two forms of whole life insurance targeted to seniors are the most costly available, and are generally used only by those who are declined for other types of insurance. They usually are not sold in amounts exceeding $25,000. Guaranteed issue policies ask no medical questions, while simplified issue policies ask a few questions generally designed to determine if the applicant is terminally ill or has a disease such as HIV, AIDS or cancer, which will disqualify the applicant. Guaranteed whole life policies generally have a two- or three-year “graded benefit” period. If the insured dies during that period, the policy pays the beneficiary only the premiums paid plus a small increment, usually 25 percent. Simplified issue generally doesn’t have a graded benefit period, but is also much more costly than the equivalent amount of traditional whole life insurance. Does the Coverage of Life Insurance Increase if Death Is Accidental? How Many Life Insurance Policies Can One Person Have?